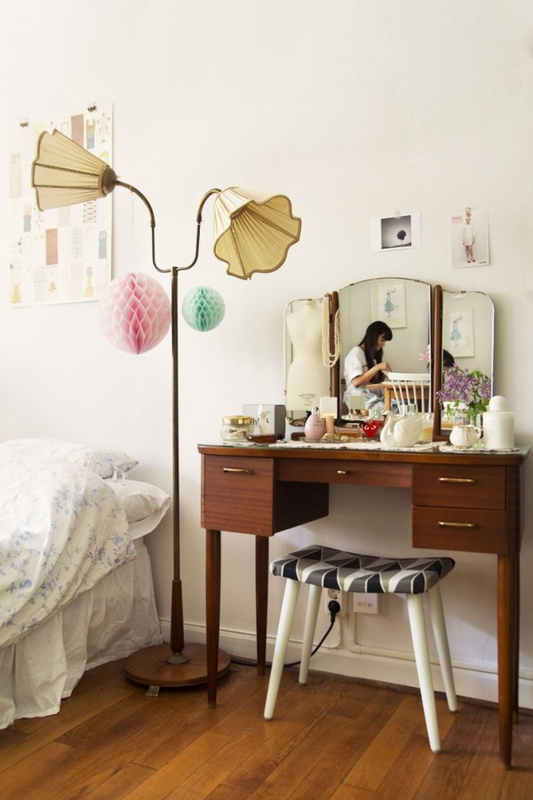 Are you still on the hunt for the perfect dressing table for your bedroom? Have you searched and searched but have not had any luck? Of all the dressing tables we saw, nothing struck our eye more than the one featured today. It may be simple to some, but its subtle details are enough to tickle our fancy! 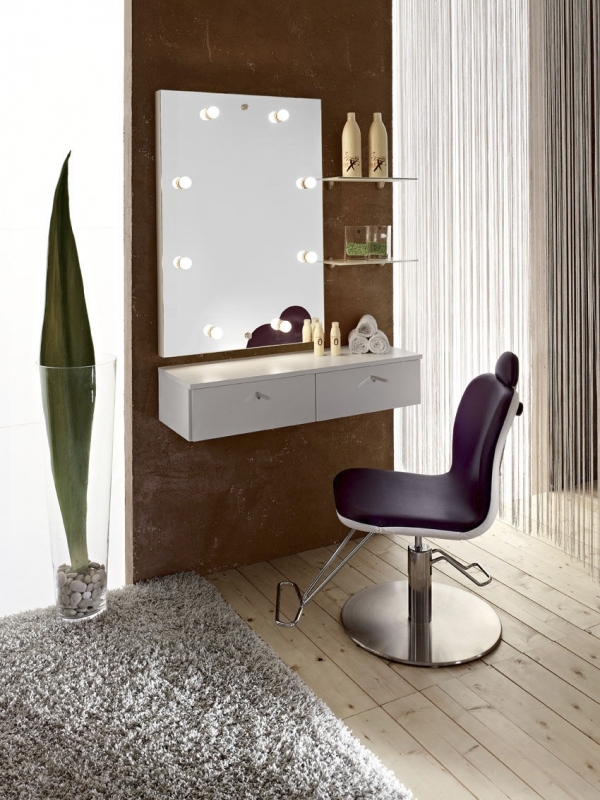 This Italian dressing table is a vision of love for those who like more the contemporary style. It is neutral enough to be paired with any existing decor you may have, yet it finds a way to become noticed all on its own. Its wood finish is impeccable in its earthly light brown hue. 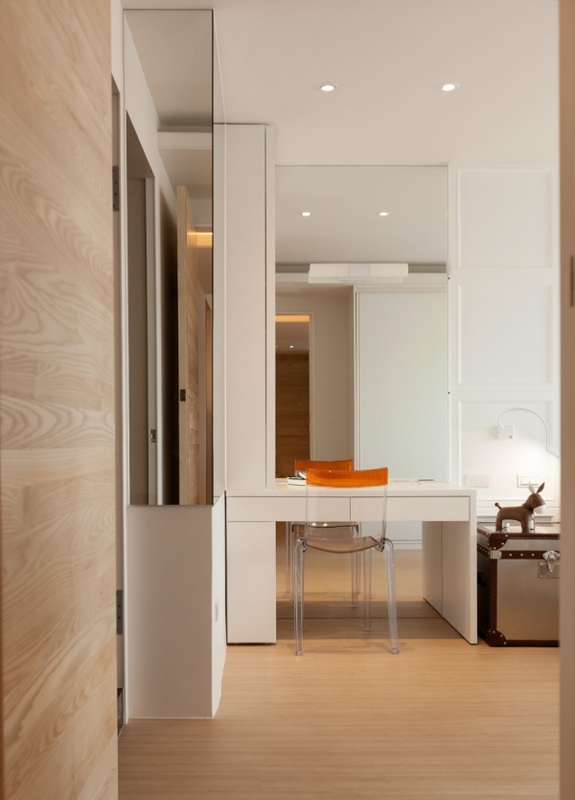 A gloss finished detailing in the form of single leaves really pops out in a daring way in these dressing tables. 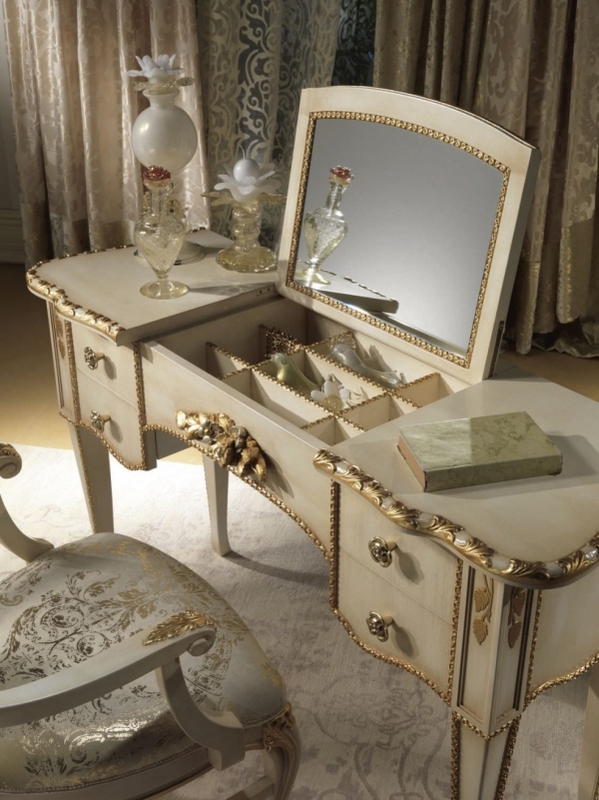 And there’s no way we could overlook the main feature of all; the marvelous mirror detail at the bottom of this dressing table. 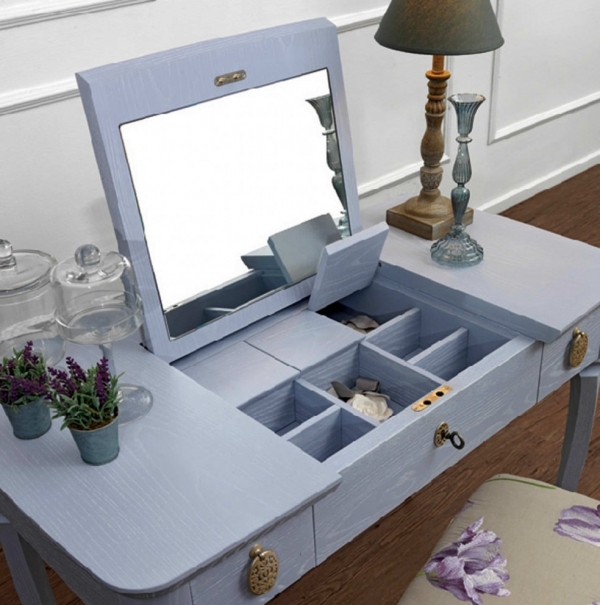 This is an interesting addition to a traditional dressing table, as we haven’t seen anything quite like it! When it comes to dressing tables, you want to make sure that it will be as functional as it is eye-catching and fashionable. We think you would be making out really good with having a dressing table that allows you to get a little sneak peak of the bottom half of your wardrobe while you do your makeup in the mirror. Getting all dolled up for a night on the town has got even better!